Are you driving alone or in a two-person carpool on I-25 North? With Segment 3 construction of the Express Lanes underway, Smart Commute Metro North is offering some incentives to help you commute smarter, reduce congestion, and improve air quality. Complete the I Drive I-25 Commuter Eligibility form to see whether you qualify for rewards! Option 1: Start a three-person carpool. Want to share the ride with others along the HOV-3 Express Lane? If you start a three-person carpool, we’ll give you and each of your new carpool partners up to $75 in Amazon gift cards! 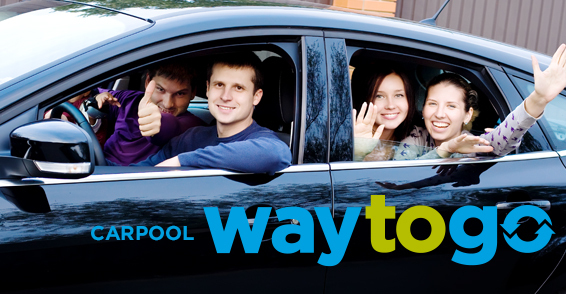 Once you have completed your first month of carpooling together, we’ll send you each $40. Stick with it for another month to get another $35. Option 2: Add or join as a third person to a current two-person carpool. Why not share the ride? Join an existing two-person carpool — or add a third person to your two-person carpool — and your entire carpool will receive a reward. We offer ride-matching assistance to make HOV-3 easier. After the first month of carpooling along HOV-3, we’ll send each participant a $40 Amazon gift card. After a second month, you’ll each receive $35. Option 3: Fill a vanpool seat. 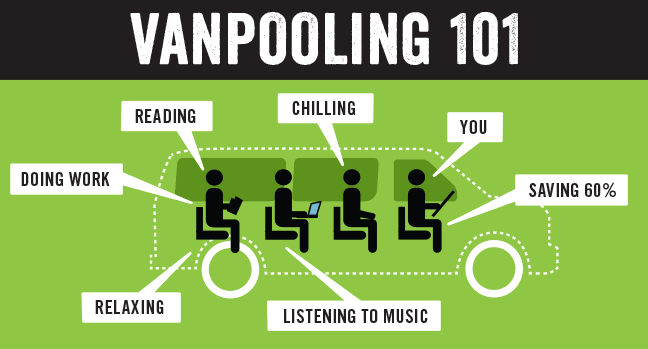 Thinking about trying a vanpool for your daily commute? Smart Commute will send you a $40 Amazon gift card for joining an existing vanpool. Option 4: Take the bus on us. Did you know that the RTD bus and rail systems run 365 days a year? RTD buses offer service at more than 9,000 stops in the metro area, and RTD rail lines help connect people all along the Denver corridor. If you’re interested in transit and if your commute along North I-25 qualifies for commuter rewards, we’ll send you a free 10Ride Regional ticket book to give RTD a try. Option 5: Ride round-trip on the Bustang. Are you driving to Denver from the Fort Collins, Greeley, or Loveland area (or vice versa)? Try out this express coach with all the amenities: reclining seats, WiFi, and restrooms. Enjoy your commute while someone else drives! If you qualify, we’ll send you a free round-trip ticket on CDOT’s Bustang to give it a try! Want more information about Bustang service? Check out www.ridebustang.com. Why wait? Sign up for I Drive I-25 Commuter Rewards here. Do you commute on South I-25 between Monument and Castle Rock? There’s another rewards program for you! Check out the I-25 MyWay program today! The I Drive I-25 Commuter Rewards program invites commuters to stop driving solo and help reduce traffic congestion during the construction of North I-25’s Segment III. By participating, you can save money, have a better commute, and help improve air quality! Questions? Shoot an email to Tammy Herreid.